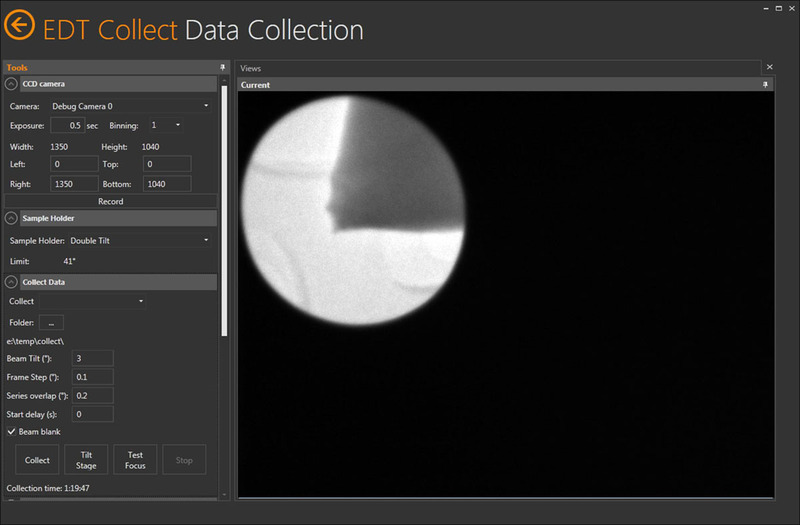 EDT Collect introduces new ways of collecting 3D Electron Diffraction Tomography (EDT) data and changes the way an electron diffraction tomography experiment is handled. 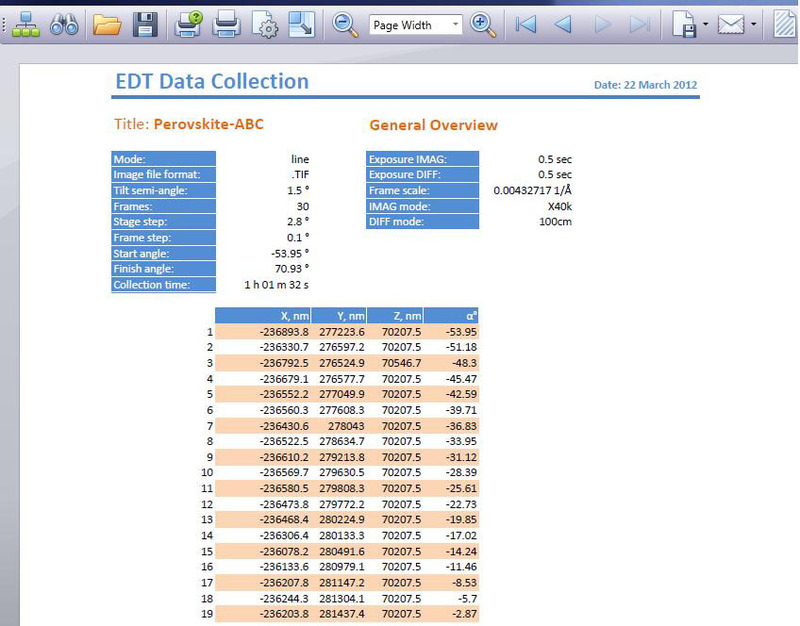 Reporting tool – EDT Collect will automatically generate a report for the collected data and save it in a PDF file for the future use. 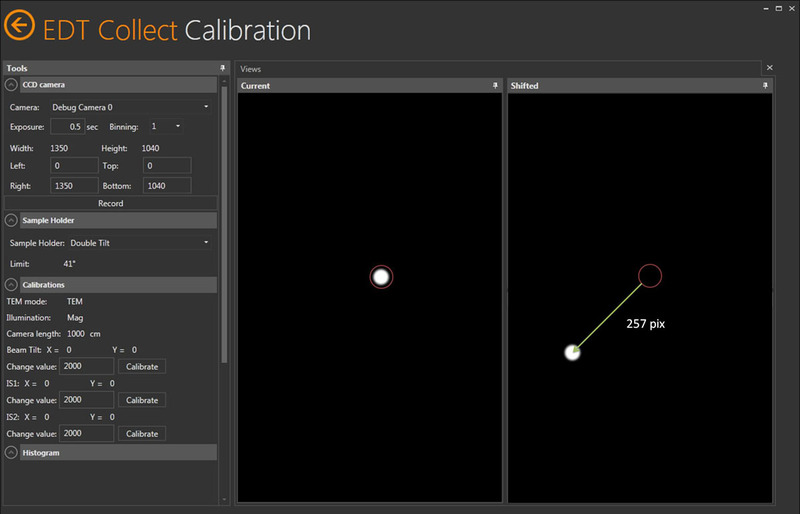 The hardware accelerated data collection is available through the DigiStar precession unit from NanoMEGAS (TEM must be equipped with DigiStar). A computer controlled TEM machine is required so that EDT Collect can change the beam tilt angle and tilt the goniometer. It is still possible to use EDT Collect in the fully manual mode in case of old (no computer control) TEM machines. In this case, the TEM must be equipped with NanoMEGAS DigiStar precession hardware unit. The sample holder will be tilted manually by the user. 1) JEOL : computer controlled board must be present for JEOL 2010/3010/4010 TEM. Tecnai, Titan – TEM must have a license for Scripting module installed and activated on the PC.